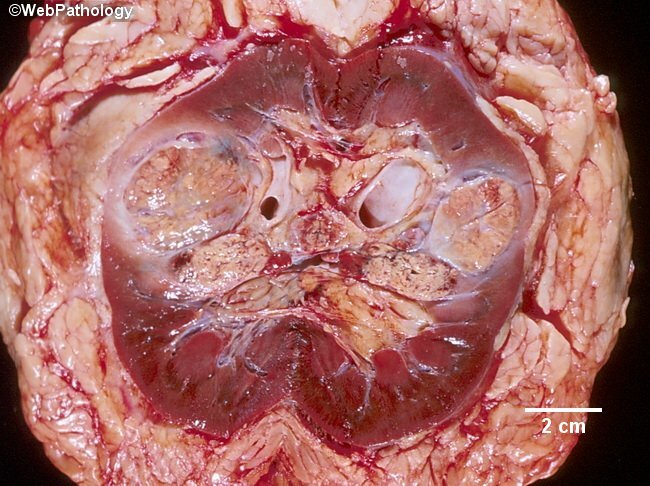 This bivalved radical nephrectomy specimen shows plugs of clear cell renal cell carcinoma in several calyces and likely involving the renal sinus. Renal sinus involvement by renal cell carcinoma upstages the tumor and portends worse prognosis. An additional prognostic factor that must be reported is renal capsule involvement, which in this image is absent.